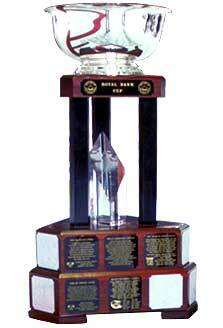 The forerunner to the Royal Bank Cup was the Manitoba Centennial Cup, which ran for 25 years from 1971 to 1995 inclusive. In May of 1996, the inaugural Royal Bank Cup was held in Melfort, Saskatchewan, continuing the fine tradition of a National Junior 'A' championship. Each league across Canada sends their championship club to a regional qualifier, playing for the right to represent the region at the Royal Bank Cup tournament.